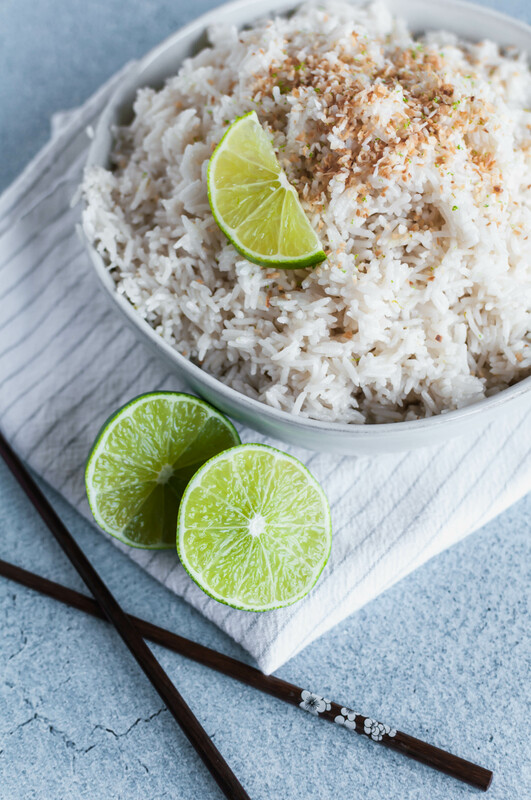 The Instant Pot obsession continues with this Instant Pot Coconut Lime Rice. Ridiculously easy to make and packed full of tropical flavor. I know warm weather will come some day guys and when it does I’ll be prepared with all the flavorful spring and summery recipes. I’ve been daydreaming about them constantly and have some really fun, delicious things coming up here on the blog. For now, I’ll keep dreaming of the warm weather to come. And I know it’s spring for a few of you lucky people out there so you don’t even have to pretend! How do you guys feel about Instant Pot recipes? Do you have one? 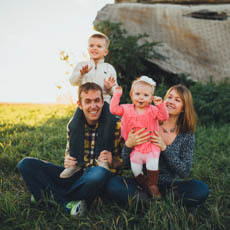 Are you loving them or over it? I’ve been trying to share one Instant Pot recipe every month because I love the dang thing and it makes my life simpler. I know I was always a little sad when I saw something delicious but didn’t have one yet to make it so I’m going to attempt to include either slow cooker or stove top version whenever possible for those that don’t have a pressure cooker. And this is one that will have both the Instant Pot version and the stove top version so everyone can join in on the tropical, flavorful fun. Rice is a staple around our house and many of yours I’m sure but for me, it gets boring real fast. That’s where this Coconut Lime Rice come in. It’s cooked in a ton of coconut milk to really pack a coconut punch. Lime zest and juice join the party too for some tartness to balance out the sweetness of the coconut. I love topping it with some toasted coconut for some added crunch and texture to keep it interesting. It goes amazingly well with curries, stir-fries, this Grilled Hawaiian Chicken and lots more. So whether or not you have an Instant Pot, give this one a try. For the Instant Pot: combine everything but the lime zest and coconut flakes in the instant pot. Set on manual for 4 minutes. Meanwhile, toast the coconut. Heat a skillet over medium heat. Add coconut and cook, stirring often, until it turns golden brown. Watch carefully as it can burn quickly. Once rice is done, allow the steam to release naturally for 5 minutes then switch the valve to release the remaining pressure. Stir in the lime zest. Top with toasted coconut. For the Stove Top: combine coconut milk, water, salt and lime juice in a large saucepan over high heat and bring to a boil. Stir in rice and reduce to a simmer. Cover with a lid and cook for 15 minutes. Meanwhile, heat a small skillet over medium heat. Add coconut and cook, stirring often, until golden. Watch closely as it can burn quickly. Remove rice from heat and stir in lime zest. Top with toasted coconut.